Kirk Curnutt. Conversaciones con Ernest Hemingway. 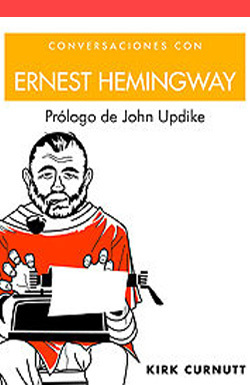 Prólogo de John Updike. Barcelona: Paidós, 2007, 176 pages. Translated by Marta Pino Moreno. ISBN: 978-8449320682. Spanish translation of the original title: Kirk Curnutt. Coffee with Hemingway. Foreword by John Updike. London: Duncan Baird, 2007. Published in Spanish by Paidós.